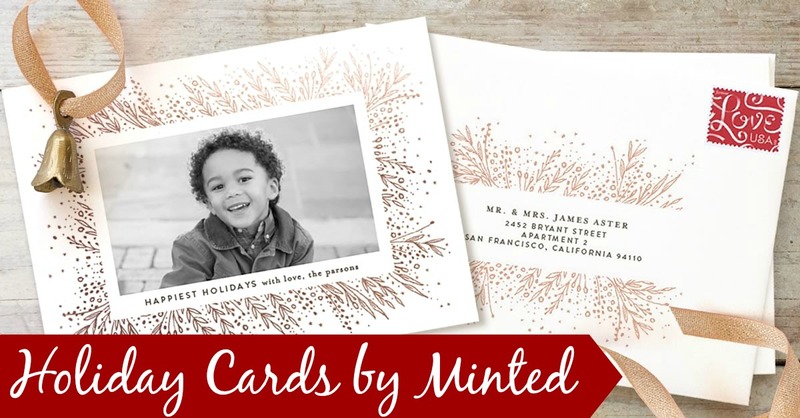 Harlem Lovebirds: Do It Now: Make Your Holiday Cards with Minted! Do It Now: Make Your Holiday Cards with Minted! Disclosure: I received a promo code to facilitate this post; all opinions expressed are my own. I think the holiday season's snuck up on everyone. How am I sure of this? I have yet to receive a Christmas card and in years past I usually would have received a few by now. I know how hectic the holiday season can be and also the accompanying clutter. I decided early on to do our family's card as a New Year's card and not only does it give me a little more breathing room to get my cards out but it also helps my card avoid the mailbox Christmas card clutter. 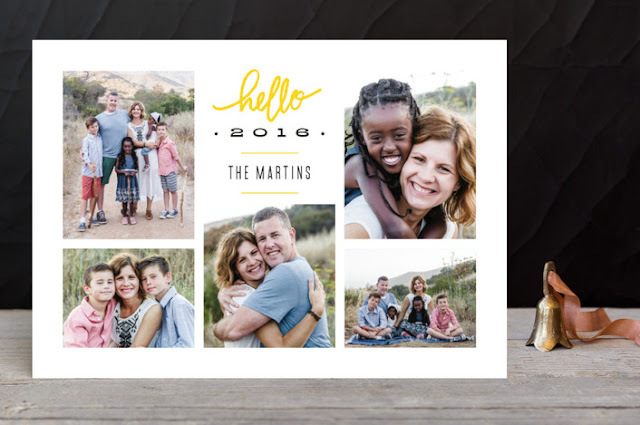 This year we're using Minted and saving even more time because for a limited time they're offering free recipient addressing. When I found out about this special service I was so relieved since addressing the envelopes in the past has been so time consuming even with my printer (it takes me FOREVER to line everything up correctly!). The foil detail on many of Minted's cards is a special touch of luxury for the New Year! It comes in silver, gold and rose gold and add a special festive touch to your cards. I save pretty much every card I get and Minted's styles are definitely worth saving. You can even do so for your own cards you create by ordering customized art prints of your card. It's such a great idea as we've ben simply holding onto our holiday cards so we have a copy of more just for us. I really enjoy being able to look back over the years to see how our family's changed. 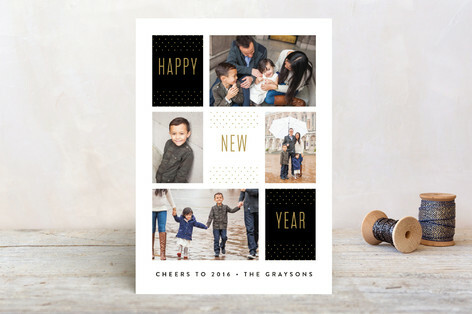 Minted's realized this and created the Holiday Keepsake Art option so you can have your print permanently. Imagine how nice it would be to include it in your gallery wall? If you want to try your own hand at designing your own card Minted also has the Completely Custom photo card which just launched this past October and allows you to use your own photographs and image to make a truly custom card. 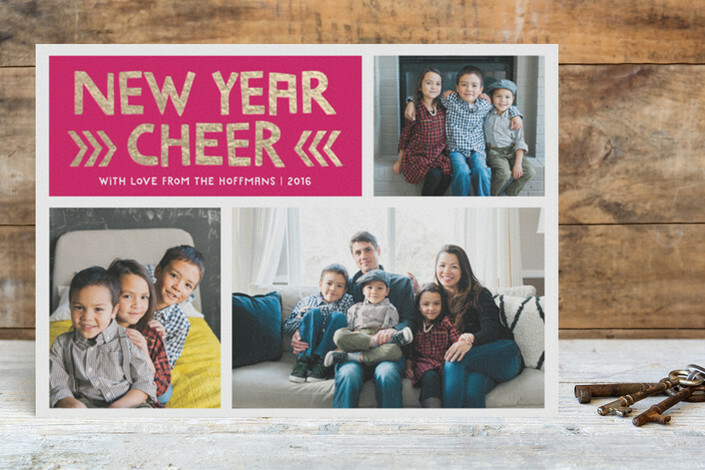 You can even use one of Minted's 9 die-cut shapes to give your holiday card extra flair. With its high quality paper available in Double Thick or Triple Thick, your card will stand out whether you customize it or use Minted's templates. You can even place your order to lock in your discounts and come back and finish your order, personalizing it exactly as you'd like it. If you want to hurry up and get your cards finished this weekend there's a special code ending Monday to help you get things going: 15% off PLUS free shipping using code MERRY. And here's how quickly you can get your cards: order by December 11 to get your cards by December 18. What kind of Christmas card does your family send? Do you buy yourself extra time like I do by ordering New Years' cards? P.S. For a look back at all 6 of our New Year's cards over the years click here!